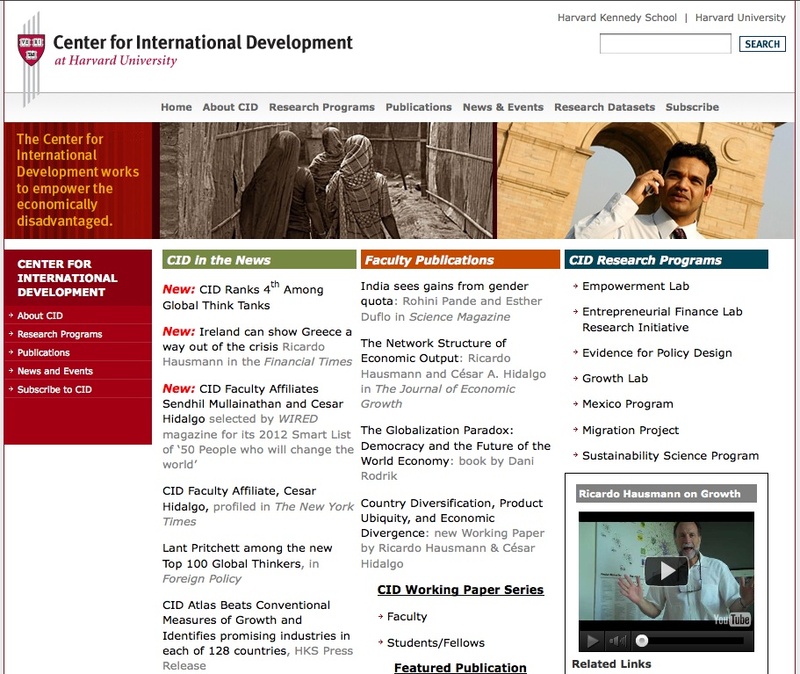 Housed at the Kennedy School of Government of the Harvard University, the Center for International Development (CID) is a research center aiming at fostering cross-disciplinary studies related to sustainable international development. The Center’s research interests cover a large range of topics: globalization and development, political economy, science, environment and development. The institute’s website provides full descriptions of current research programs, as well as info about the center’s activities and upcoming events. Users are also allowed to access a database containing information on the center’s members, their interests and publications. A remarkable quantity of research material is provided from reports and working papers series, to digital books, datasets, and national and international statistical resources. Documents are accessible by all users completely for free, and can be retrieved and downloaded in their original format (in pdf, image and multimedia versions) along with annotations and metadata. The updating rate is quite good, on a weekly basis for some sections.The basic website design may not always be sufficiently clear for first-time users, providing few navigational tips, a sitemap and a simple keyword — even if the general orientation is very intuitive.